That was how most of Ball State's Women's Tennis' matches went today against Akron, losing three singles matches in three sets. "There was a ton of momentum shifts," head coach Max Norris said. "And even as we gave away the doubles point and lost a lot of momentum there, I still felt like we had a chance." Seniors Audrey Berger, Peyton Gollhoffer and Sarah Swiderski's singles matches all ended with the same result. They lost the first set, won the second, then fell in the third. "This loss reminds me a lot about my freshman year," Dohanics said. "We had won five 4-3 matches and then the last match before the tournament we lost to Buffalo 4-3. That loss gave us a fuel that made us play our best in the tournament than we had all year." Junior Rebecca Herrington won her No.3 singles in two sets, while sophomore Victoria Sec and senior Isabelle Dohanics won their matches in three. "We couldn't have really put ourselves in a much better place to win," Norris siad. "It's just a matter of going the extra mile and trying to finish that." Dohanics won her doubles match with Sarah Swiderski at the #3 doubles and her singles match at No. 5. "Being here has been the most tremendous opportunity," Dohanics said. "I did not expect to meet such great people. I did not expect to win championships. I did not expect to love my tennis career. It's already been way beyond my expectations." The senior class has a combined winning percentage of 71% at doubles and 65% at singles. In the other doubles matches, Berger and Herrington lost 7-5 and Gollhofer and Sec lost 6-3 at the No. 1 and No. 2 positions respectively. "At this time of the year there's a lot of people who don't think it's about growing anymore or improvement," Norris said. "But I've been trying to harp on that you need to play to keep improving towards the end of the season." Ball State will travel to Buffalo April 26-28 for the Mid-American Conference Tournament. Seeding for the tournament will be announced Sunday. LITTLETON, Colo. (AP) - A Colorado community will mark the 20th anniversary of the attack on Columbine High School on Saturday with community service projects and a ceremony remembering the 13 people killed by teenage gunmen. Since 1999, American schools have tried to prevent a threat that had once been unthinkable. Districts across the country formed teams to assess threats and cooperate with law enforcement on a response. Drills training students to evacuate their school or "lockdown" and hide from a shooter are routine. School security has become a multibillion-dollar industry, adding specialized doors, surveillance video and other technology. This week brought a new demonstration of that burden as federal authorities led a manhunt for a Florida teen described as "infatuated" with the 1999 shooting who traveled to Denver on Monday and purchased a shotgun. On Tuesday, authorities published the young woman's name and photo after learning of her obsession with Columbine and the gun purchase. They said she had not made specific threats but dozens of schools, including Columbine, locked their doors Tuesday. More than 400,000 kids stayed home on Wednesday when schools shut down across the metro area. The 18-year-old was discovered dead of an apparent suicide Wednesday morning in the foothills west of Denver, about 40 miles (64 kilometers) from Columbine. Long-planned events marking the anniversary continued as scheduled, beginning with a Thursday evening church service and a community vigil Friday night at a memorial constructed within sight of the school. The Columbine perpetrators, who took their own lives during the attack, have inspired cult-like admirers including some who have committed other shootings or were prevented from doing so. Officials overseeing security at Columbine and other schools in Jefferson County acknowledged the dark interest this week and warned off those who would treat the school as a destination. "We are not a place to come visit if you're not a student, if you don't have business there," John McDonald, security chief for the school district, said Wednesday. "We're not a tourist attraction and we're not a place for you to come and gain inspiration." Security remained heightened at Denver-area schools through the week. People who plan to attend the public remembrance ceremony Saturday afternoon at a park near Columbine also have been warned of security checkpoints. The school itself will be closed to the public. Though cold rainy weather may have driven the Easter Bunny indoors for the day, it didn't stop visitors of Minnetrista's Glass Easter Egg Hunt from enjoying the holiday festivities. At 10 a.m. on April 20 at Minnetrista Gathering Place, children were encouraged to find Easter eggs hidden by the Easter Bunny, who took pictures with attendees of the event and led egg hunts, followed by a line of kids who hoped to find candy or toys in the eggs. Egg hunters Kynlee Blankenship, age seven, and Emerie Thornbury, age six, seemed to be playing keep-away from the Easter Bunny as they looked for eggs. "Hurry! We can't let the Easter Bunny find us! We need more eggs!" Emerie said to Kynlee. Additionally, visitors were encouraged to look for plastic eggs scattered around Minnetrista instead of the glass eggs that were available for purchase when found. The egg hunt, a collaboration between Minnetrista and the Ball State Glass Alliance, was held indoors instead of in the Rose Garden due to weather issues, where it has been held for the last three years. Glass Alliance President and glass & ceramics major Megan Lange said the process of making the glass art on display at the event takes plenty of time and patience. "For this many eggs, we have been working on it all semester," Lange said. "We do a three hour slot once a week." The Glass Alliance sold eggs, roses and a variety of vases and bowls, all made of glass, to parents. Ashley Mann, the discovery and engagement manager for Minnetrista, said the partnership between Ball State's Glick Center for Glass and Minnetrista has been a great opportunity for collaborations on different events for the last five years. "We have had a partnership with the Glick Center and therefore with the glass guild for a number of years now," Mann said. "We work with Ball State and we do different workshops and things throughout the year over there that they have the equipment for and expertise for that we don't." Contact John Lynch with comments at jplynch@bsu.edu or on Twitter @WritesLynch. Glass Easter eggs, made by the Ball State Glass Alliance, sit on display on April 20, 2019, at the Minnetrista Gathering Center for the Minnetrista Glass Easter Egg Hunt. Participants were tasked wit finding the glass eggs around the gathering center. John Lynch, DN. Junior Alyssa Rothwell is no stranger to the pitcher's circle, and she delivered yet another save in game one of today's double-header against Toledo (17-23, 6-7 MAC) to tally her 12th save of the season. However, Ball State Softball (30-16, 8-6 MAC) would split the bill with the Rockets after falling short in game two. "We hit some good balls today," head coach Megan Ciolli-Bartlett said. "We had some runners in scoring position, bases loaded. They just didn't fall in that second one, but we got a little flustered when they switched pitchers." Rothwell entered in the 7th inning of game one, shutting down the Rockets offense for the final three outs and breaking her own single-season save record in Mid-American Conference and Ball State history. "I had to work to get ahead in the counts to keep up," Rothwell said. "But as a team, we've really grown since the fall and having that family aspect definitely helps with confidence." She now has 26 career saves as a Cardinal, which is by far the most in team history. The second-closest is nine held by Nicole Steinbach. The Cardinals were held without a hit in the first two innings, but came back in the third to notch four, managing to grab two runs to lead the Rockets 2-1. Sophomore Kendall Fields drove a home run in the fifth, tallying her fourth in as many games. But an RBI double from Rocket freshman Aubrey Reed brought her team within one quickly at a score of 3-2. Senior Olivia Huffman, with just her fifth hit of the season, notched a homer of her own to help give the Cardinals the game one win, 4-2. Rothwell closed the door in the seventh for the Cardinals by tossing a scoreless frame, striking out a batter after walking two. "She has been absolutely tremendous for us as a closer," Ciolli-Bartlett said. "She embraces the role. It's her job and she truly loves it." Sophomore Erin Hunt was the starting pitcher for the Rockets in game two. She found herself in deep water quickly after loading the bases and walking in a runner. But Hunt bounced back quickly, striking out the next three batters and leaving three Cardinals on base to end the first. Innings two and three were scoreless, but junior Morgan Paaverud provided a spark for the Rockets in the fourth when she drilled a three-run homer past centerfield to send home senior Kaitlyn Bergman and sophomore Bekah Yenrick. Sophomore pitcher Maggie McGurk kept the Cardinals on their toes, as she tossed four strikeouts in her first two innings for the Rockets. An RBI double down the right field line from senior Katie Cozy scored senior Megan Choate to give the Rockets a 4-1 lead in the fifth. Freshman Trinity Eckerty answered in the bottom of the inning with a single to score sophomore Stacy Payton and advance sophomore Hailey Demnianiuk. Choate drove an RBI double of her own in the top of the seventh, and the Cardinals failed to come back, falling 5-2. "We have to do a better job of the game within the game," Ciolli-Bartlett said. "We have to come up with a big hit when the moment arises, and if we do that we'll be in good shape." Tonight: Rain showers are expected to continue throughout the evening, and as our system moves to the southeast, gusty winds will continue to move in. 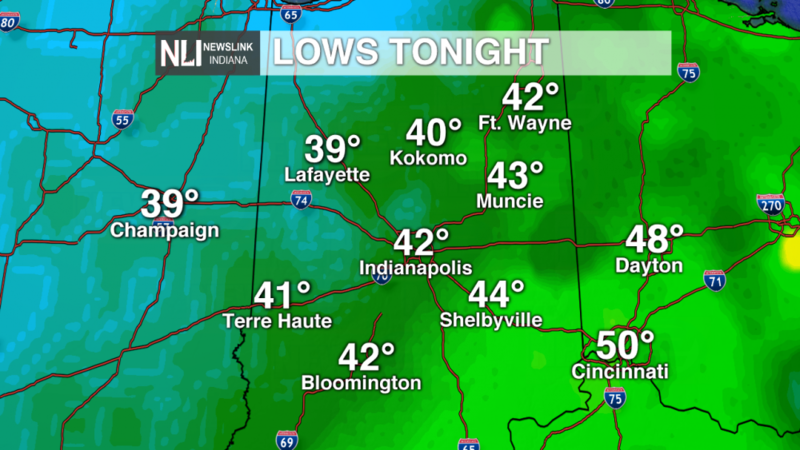 Expect a low in the low-40s, so it will feel cool tonight as well. 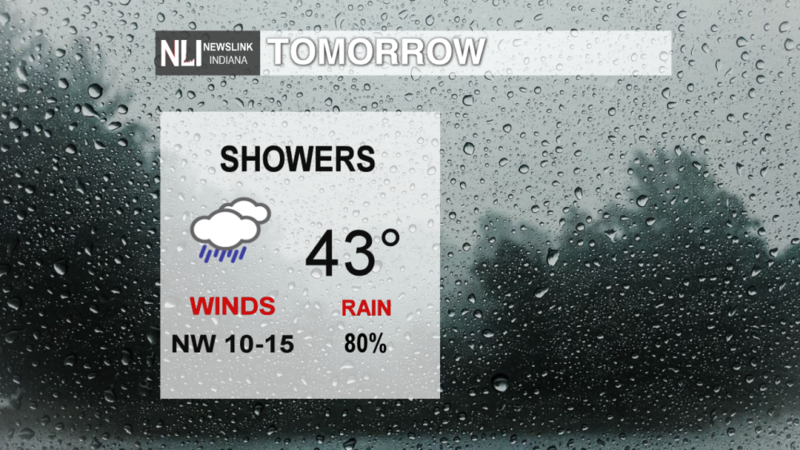 Tomorrow: Expect cool temperatures in the low-40s and rain showers to stick around for the whole day. In short, it will be dreary. Make sure to keep an umbrella on your person and drive safely. 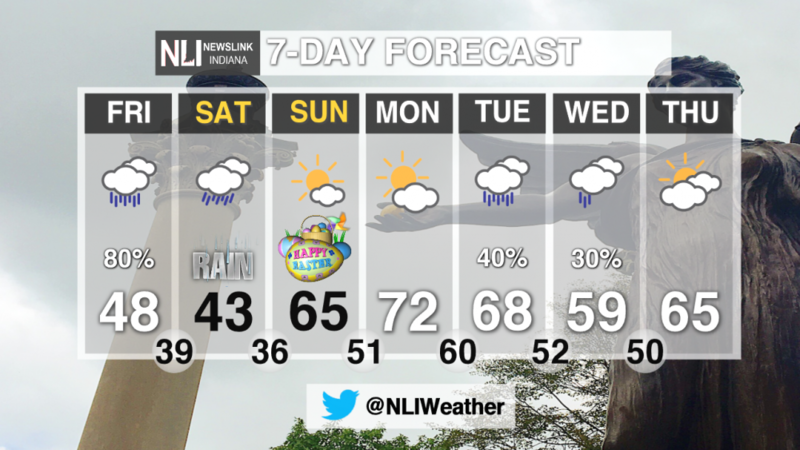 7-Day Forecast: Easter Sunday will be gorgeous out, with a high in the mid-60s and partly sunny skies. Things will heat up even more on Monday, as we see a high of 72 with partly sunny skies. 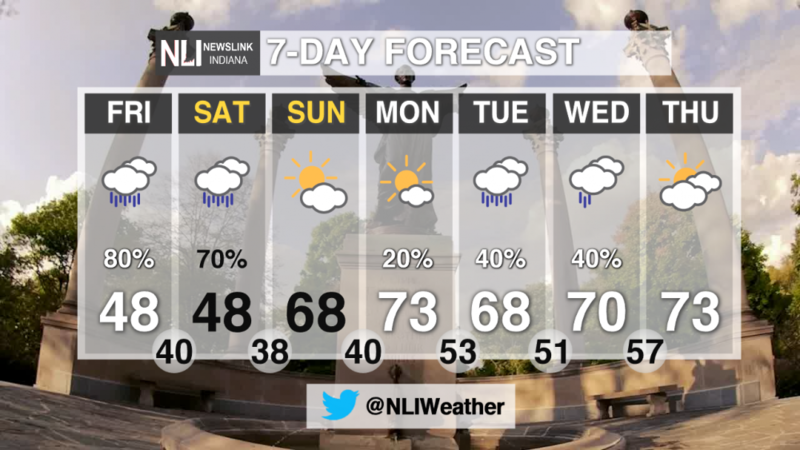 Tuesday and Wednesday might put a damper on your plans with the possibility of rain showers, and Thursday will see a clear-up with a high of 65. 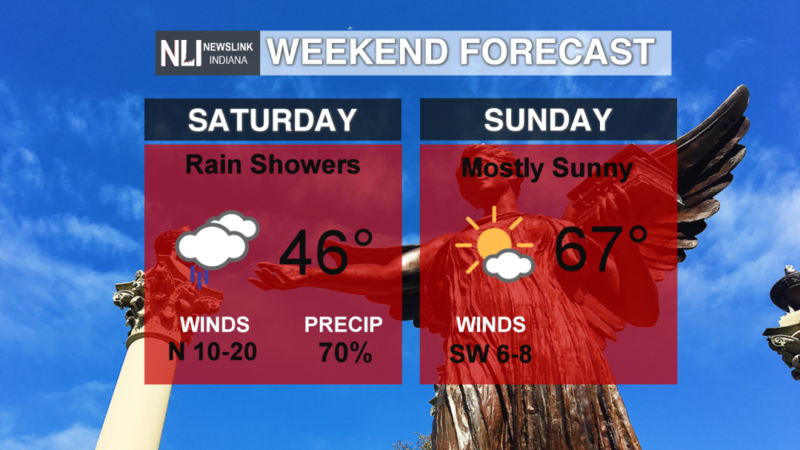 In short, expect a wet weekend, a nice Easter, and a variable but warm next week. When Muncie Central High School senior Matt Lloyd was 12 years old, he considered himself the "weird kid" who would rather sit in his room listening to the radio instead of watching television. It wasn't until he took Drew Shermeta's blended economics class, however, that Lloyd considered using his interest to aid him in his learning. Started by principal Chris Walker, Shermeta said the introduction of both a blended economics and government class was intended to allow students to experience the freedom of college before being fully immersed in the environment. "We want our students to have some experience with that kind of autonomy as they head off to college campuses," Shermeta said. "[College] requires a different kind of work ethic, and if they're not practiced in it by the time they set foot on a campus, it's going to be a steep learning curve." In approaching this unique class structure, Shermeta said he and his colleagues looked for ways to continue the mission of the course by giving students a voice in how they show they've learned. The teachers came up with multiple ideas for projects, including a podcast assignment. With each unit, students are required to make some type of product - whether it be a poster board, slideshow presentation or podcast - to demonstrate they are able to not only recite but fully conceptualize the information. "It's about taking [topics] and trying to make them relevant," Shermeta said. "[Students] are taking the information and putting their voice to it to make something new. "They're not just reciting back the standards like we would do in a traditional class where you study for a test, you take the test and then, in order to perform well on the test, what you're doing is reciting back the content that I've given you." 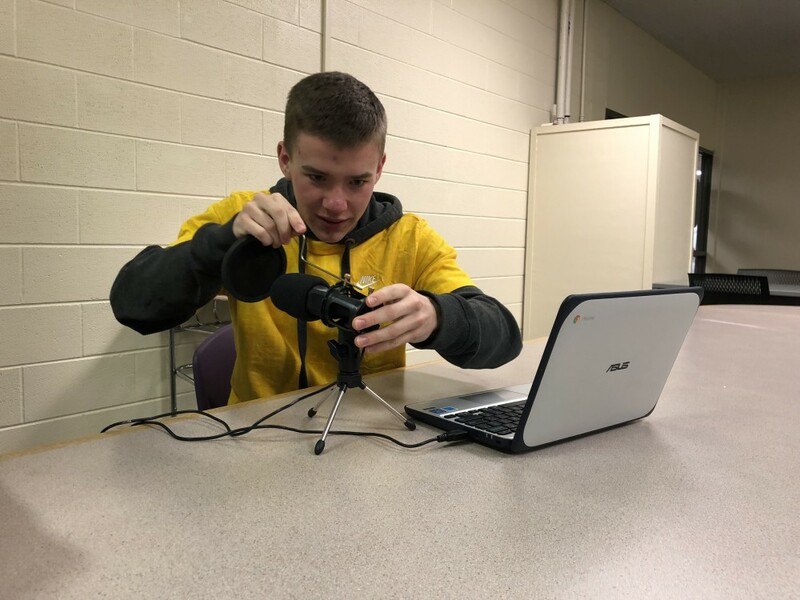 Shermeta received a grant of $450 from the Community Foundation of Muncie and Delaware County Inc. to purchase a set of 20 "professional-style" microphones that plug into the Chromebooks each MCHS student has. Students then use a software called Anchor to edit and publish their podcasts. Because of the money he received, and the opportunities he saw for enhanced learning, Shermeta incentivised taking the "risk" of creating a podcast with a few bonus points. "When you take a test it's really private - if you fail a test [the student and teacher] know that, and there is safety in that privacy, but if [a student] fails in a podcast, it's public, so it's intimidating, and I understand that," Shermeta said. While he was apprehensive at first, Lloyd said he is glad he decided to step out of his comfort zone and create a podcast. Lloyd's first episode of "Econ for Dummies by a Dummy" was created for the class' first project, and since then, he has decided to continue the series for each unit. "His creative extension of it is making it relevant to an audience of novices," Shermeta said. "He really is doing a good job of distilling it down to something that is very accessible and not academic. It's not textbooky, it's engaging." Whether he's sitting in the library, at his kitchen table or on his bed, Lloyd always begins his podcast the same way: "Hello, and good morning ladies and gentlemen." He said he has been surprised not only by how closely economics relates to everyday life, but also the response he has gotten from classmates and family members. "I was like 'Oh man, here we go. The guys are going to be joking around like, 'Oh, you're making podcasts?'' But the next couple of days at school, kids that I didn't really know and friends were like, 'Dude, that was really cool!' and like 'That was really awesome,'" Lloyd said. Beyond his parents, who have now pushed him to pursue podcasts further, Lloyd said he probably doesn't have many listeners. Shermeta, however, said he knows people are taking notice of Lloyd's work. Not only have other teachers listened to Lloyd's podcast, but Shermeta said he also shared his first episode with the Community Foundation as a way to thank them and show them the work that students like Lloyd were able to do because of the committee's generosity. Overall, Lloyd said the podcast has helped him gain a better understanding and appreciation for economics. Shermeta credited this to the stakes of making the project public, as well as a worksheet called "the blue sheet," a worksheet designed to guide students in creating their projects. "The blue sheets were carefully and thoughtfully arrived at and ... they're hopefully different than just a normal worksheet of questions," Shermeta said. "They're not intended to be questions that can be simply Googled, and then the answer is the first thing that pops up. They're the kinds of questions that were thoughtfully arrived at, that require thoughtful answers that can't be answered without authentic student voice." Shermeta said he sometimes doubts he is doing enough to guide his students because he is not using the "traditional method of teaching," but the success of students like Lloyd has "fully convinced" him that students are learning "in a more lasting way." He added that it has been exciting to see students genuinely proud of themselves after finishing a podcast. "That's a teaching win for me," Shermeta said. "That's the kind of thing that defines a semester for a teacher." With this being the first year for blended classes and podcasts, Shermeta said he hopes to "encourage dialogue within our building about different ways to highlight the talents and abilities" of Muncie Central's "tremendous students who do tremendous work." "We have a lot of faith and a lot of confidence in what we do in this building," Shermeta said. "This isn't an honors class, this isn't an AP class - this is a student that will be on Ball State's campus next year, a campus that wants students who are doers and are creators and, [students are] getting that experience that's getting [them] ready for that. "We have a lot of pride in our brand, and I'm hopeful that it's a part of the reframe that is currently ongoing for Muncie schools. It's a way for people to reconsider what happens here." Contact Brooke Kemp with comments at bmkemp@bsu.edu or on Twitter @brookemkemp. 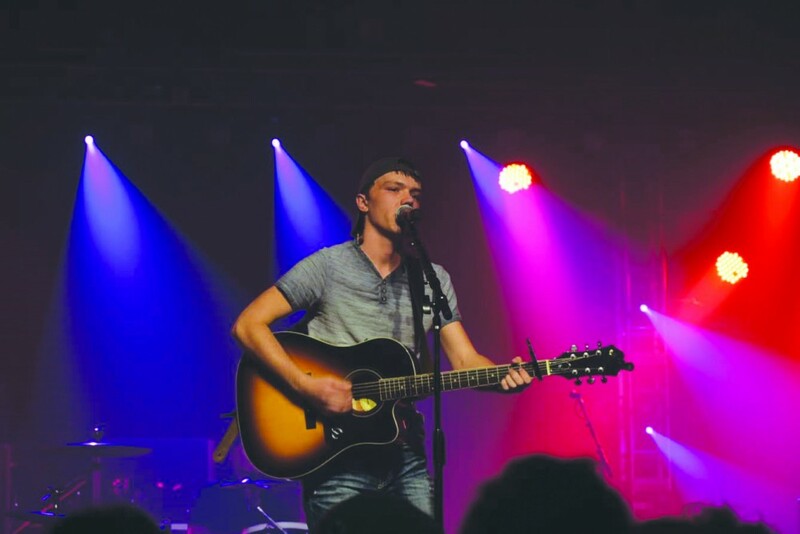 Today, the senior telecommunications major is ready to present his performances to a larger crowd than just his parents with his newly signed contract with Nashville Artist Development. "My mother has always told me that I've done something with music ever since I was little," Rosewood said. Janice Luft, Rosewood's mother, said music used to calm Rosewood down as a baby, and she used to catch him humming or singing while he was playing. "Music always seemed to have a special place for Paul," Luft said. At the age of 6, Rosewood began acting in church plays and participating in the singing roles. He also started taking guitar lessons to accompany his singing, Luft said. Not long after starting guitar lessons, Rosewood and a few other students started the Shelby County Line band, which continued when he came to Ball State. "I really enjoy performing, writing, and just being friends with the guys," Rosewood said. "We actually performed at the late night carnival here at BSU a few years back. In the end, life just took us in opposite directions, and I decided to dive into my music more." Today, Rosewood said he would describe his style of music as southern rock country. As a musician, Rosewood said he looks up to Garth Brooks. "[Garth Brooks] is a good singer, a good artist and a decent person through all that happens with stardom in an industry," Rosewood said. "I just really like the stories that country artists have in their music. You can paint such great images in good songwriting. "It's kind of funny because these days in country, every artist that comes out on radio is kind of a new genre.You've got pop country, bro country, classic country - all these different things, and it's kind of like each new person is their own type of country." Taking steps to pursue his dream career, Rosewood called Jason Wyatt, the CEO of Nashville Artist Development, four months ago. "He's kind of the guy who makes it all happen," Rosewood said. "Anybody who knows anybody in Nashville knows who he is." After a few conversations, Wyatt offered to sign Rosewood to his record label. After taking time to think about the offer, Rosewood accepted. "It wasn't like the guy offered it, and I immediately took it," Rosewood said. "Just because there are a lot of people in Nashville that do that, and you kind of need to weed out the ones that are fake versus real." Luft said she liked Wyatt's attitude and the way he looked at each artist separately to help them improve in their own ways. "I feel like it's a good match," Luft said. "I like the agency a lot." Since signing with the Nashville Artist Development, Rosewood said he has been working on solo content for the first time - something that allows him to feel "more of himself" in his music. Rosewood also said that each day he writes bits of different songs, starting with what he is feeling that day. While he enjoys performing live, Rosewood said he has not done it as much as he would like to since his band broke up last year. "The crowd interaction is something that I enjoy," Rosewood said. "Just the hype of getting up and playing songs, and especially - even if it's not necessary even your song - when you get a crowd full of people singing a song with you, it's pretty cool. There's not a better high that I can think of." Wyatt said Rosewood has a good stage presence and he knows how to handle the stage and connect to a crowd. Currently , Nashville Artist Development is working to help Rosewood find performing opportunities..
"Nashville Artist Development is not a booking agency, so I haven't performed on behalf of them," Rosewood said. "However, Nashville Artist Development is helping me to get signed to a booking agency, which will help me get booked for higher end shows." However, before launching entirely into his music career, Rosewood said he is also trying to graduate. Although Rosewood has been able to sign with a company, he is still a student trying to graduate. While Rosewood takes monthly trips to Nashville as part of the Cheers and Beer acoustic tour, he said he is constantly working with professors, making conference calls and skyping during writing sessions. "It's a little rough, especially when you have assignments due on Sunday or Monday," Rosewood said. "But, if you put your mind to it, it's easier than you think." After college, Rosewood says he plans to move to Nashville permanently. "It would be nice to have a number one single," Rosewood said. "But, mostly just getting to go out and tour is what I want to do." Contact Scott Fleener with comments at jsfleener@bsu.edu or on Twitter @Scott_Reports. Posters mentioning the name of a hate group were taken down Monday at different locations on Ball State's campus. Patriot Front, a Texas-based group that Southern Poverty Law Center's (SPLC) website lists as an "extremist group" with "White Nationalist" ideology, had posters mentioning its name at two locations outside Emens Auditorium, one near David Owsley Museum of Art and one near the Scramble Light. Marc Ransford, senior media strategist at Ball State, said in an email the university was aware of the incident. "UPD was notified on Monday about posters that were in unauthorized areas," Ransford said. "The posters were then removed from these areas." He said it is unknown who posted them. A Twitter account with the group's name and logo has posts showing the posters present in other universities and cities across the United States. The account tweeted the posters at Ball State Thursday. SPLC's website describes the organization as "a white nationalist hate group that broke off from Vanguard America in the aftermath of the deadly 'Unite the Right' rally in Charlottesville, Virginia, of August 12, 2017." 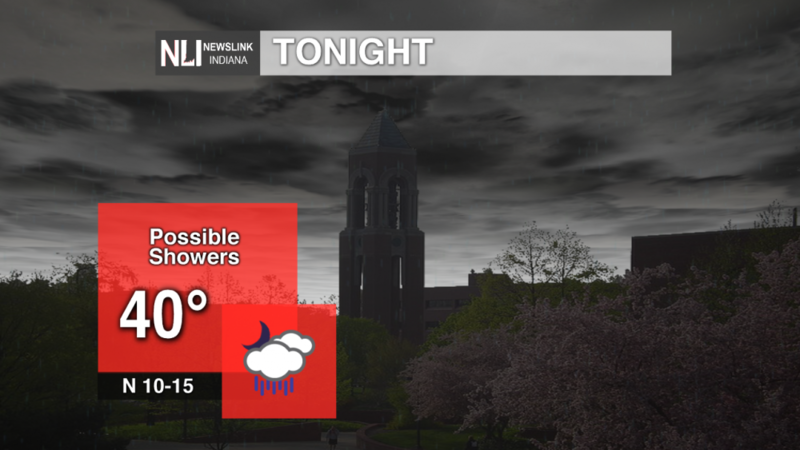 Tonight: Rain still hanging around into the evening. The temperature falls to 40°F at night with still windy conditions making it feel like the upper 30's so stay bundled up! 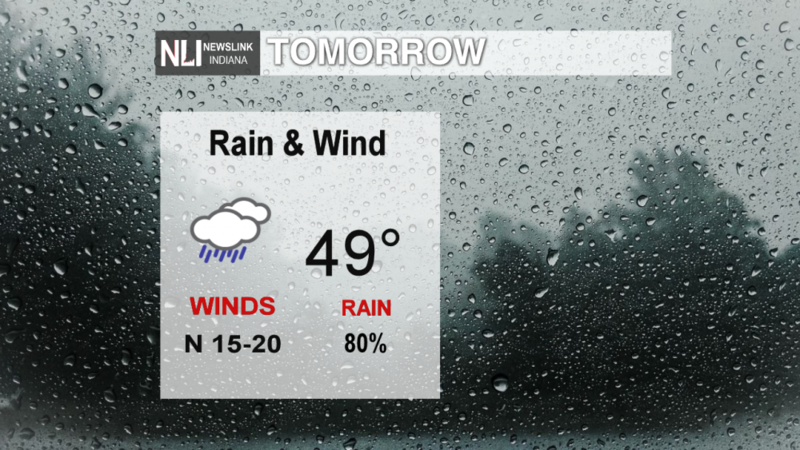 Tomorrow: Rainy conditions continue into Saturday with temperatures reaching to the upper 40's. Still a little windy with Northwest winds at 16-18 mph. As the day continues the rain starts to clear away, and the winds calm down with temperatures in the upper 30's Saturday evening. 7-Day Forecast: Rain is gone on Sunday making for mostly sunny skies and temperatures in the mid 60's for your Easter activities. To start the work week temperatures make it back into the 70's on Monday with a slight chance of precipitation. As the week the continues the chance of precipitation sticks around through Wednesday. Come Thursday mostly cloudy skies with a high of 73°F. Three years ago, Ball State students created Cardinal eSports - a club made up of a group of students who enjoy playing video games competitively. However, they now aspire to be recognized as a varsity sport. Renee Clear, assistant professor of journalism graphics and faculty advisor for Cardinal eSports, said within the next two years, esports "will be big." Clear said some schools have the administration of esports under the library services instead of athletics, which she said does not align with the club's goals to become a varsity sport. In recent months, Cardinal eSports has competed with other schools on the junior varsity level because they are not recognized as a varsity sport. Clear said she hopes the club will be recognized and have scholarships in the future. "In the next five years, if you are not there, you're [going to] get left out in the cold," she said. Becoming a recognized team would come with requirements because varsity sports teams have to abide by NCAA regulations. Esports players cannot be paid and would have to maintain a certain GPA, among other rules. Corbin Creedon, Cardinal eSports president and computer science major, said in an email many students across the U.S. are interested in esports games like Fortnite and League of Legends. Creedon added that Ball State having esports scholarships would help attract prospective students. "Cardinal eSports is currently doing research into other schools that have facilities and are looking into getting those established," he said. Some schools in Indiana - Indiana Tech, Butler University and Trine University - have recognized esports programs. "Ball State could see a lot of benefits from having esports scholarship because they would be a part of the first generation," said Julian Thomas in an email, Cardinal eSports executive and Rocket League coordinator. Thomas said having scholarships would allow Ball State to develop Cardinal eSports quicker and build a solid ground for the future of esports, including scholarships at Ball State that would show prospective students that the university is serious about esports. "Esports is my passion, and as a student it would help me a ton if it came sooner rather than later," he said. Scott Wise, Ball State alumnus and founder of Scotty's Brewhouse, which closed its original Muncie location recently after the company filed for bankruptcy, according to previous Daily News reports, wants to be a part of bringing esports scholarships to Ball State. He has co-founded his own esports league, Evolve Esports, which he said is like little league because it teaches kids and helps them learn skills like the ability to take coaching. Tipton High School in Tipton, Indiana, for example, has a dedicated esports arena, according to the school's news release. Student esports players could later join a collegiate program with a possible scholarship. While he is willing to help schools develop their esports programs, Wise said he doesn't want to wait because the esports industry is growing fast. "For me, it was frustrating to meet the schools because they just move at a snail's pace," Wise said. He said he has spoken with President Geoffrey Mearns and discussed what he has done to start his youth esports league and how Ball State can be a place where esports can grow. Seeing the esports arenas being built all across the United States, Wise said Muncie would be a "perfect" place to grow esports and someday build a facility for the program. "What I've seen with most sports is they start club level and if they're popular and there's money to be made then they sanction them into an actual sport," he said. If the university makes Cardinal eSports a varsity team, it will need to be supported like one, Thomas said. It would need quality machines and a facility to practice in so a player would not be held back due to equipment. "With how large esports already is and how fast it's growing it would honestly be a massive mistake not to hop on this opportunity," Thomas said. Contact Jacob Musselman with comments at jhmusselman@bsu.edu or on Twitter @jhmusselman. WASHINGTON (AP) - President Donald Trump may not have obstructed justice, but it wasn't for lack of trying. Robert Mueller's 448-page report takes the American public inside the room with Trump as he expressed fear that the special counsel would end his presidency and made several attempts to get the people around him to curtail the probe into his campaign and Russian interference in the 2016 presidential election. Some occurred in public. Others behind closed doors. Trump ordered his White House counsel to try to have Mueller removed. He directed his former campaign manager to deliver a message to then-Attorney General Jeff Sessions to make a public statement calling the investigation "very unfair." He also wanted Sessions to announce that Trump had done "nothing wrong" and to say that the investigation's scope had been limited. But people around Trump either refused or quietly allowed the matters to drop. "The president's efforts to influence the investigation were mostly unsuccessful, but that is largely because the persons who surrounded the president declined to carry out orders or accede to his requests," the special counsel wrote. Barr was generally right weeks ago when he released Mueller's key findings. The special counsel did not find a criminal conspiracy between the Trump campaign and the Russian government to interfere in the 2016 presidential election. He did not recommend charging any Trump associates as agents of the Russian government or with campaign finance violations. But on the question of obstruction, Mueller said there was evidence on both sides of the question. He said some of Trump's actions related to potential "garden variety" obstruction. "If we had confidence after a thorough investigation of the facts that the president clearly did not commit obstruction of justice, we would so state. Based on the facts and the applicable legal standards, we are unable to reach that judgment," Mueller wrote. IS THE REPORT GOOD OR BAD FOR TRUMP? Trump's legal team claimed "complete vindication" by the report, and Barr emphasized at his news conference that there was no evidence of collusion. Trump even tweeted out a Game of Thrones themed meme, saying "For the haters and the radical left Democrats - Game Over." But the report describes in detail a president driven to interfere in the probe out of fear that it would "call into question the legitimacy of his election" and his own uncertainty that his family or associates may have violated the law. Mueller wrote that on multiple occasions Trump did things that were "capable of exerting undue influence over law enforcement investigations." Some of that was in private, one-on-one encounters that witnesses relayed to the special counsel. But the president's public acts also raised questions that they could have led witnesses to feel intimidated or alter their testimony, moves that Mueller said were equally threatening to the "justice system's integrity." That was the case for Donald Trump Jr. and a Trump Tower meeting with a Russian lawyer. In June 2016, Trump Jr. agreed to take the meeting despite it being described in emails as part of a Russian government effort to help his father. Trump Jr. was looking for dirt that could be used against Democratic presidential candidate Hillary Clinton. The meeting raised questions about whether Trump Jr. and others violated the federal ban on foreign contributions to American political campaigns. But Mueller, who interviewed many of the participants in the meeting, said he didn't find that he could bring a case. The special counsel wrote that it was unlikely the government could prove that Trump, Jr. and others in the meeting "had general knowledge that their conduct was unlawful." The report reveals some of Mueller's reasoning behind why he didn't reach a conclusion on the question of obstruction. He says that he would have exonerated Trump if he could have, but he wasn't able to given the evidence he uncovered. Still, Mueller said that the Justice Department's opinion that a sitting president couldn't be indicted meant he also couldn't recommend Trump be criminally charged, even if he made the recommendation in secret. That's because Trump could not defend himself during a public trial while in office. In announcing the release of the redacted report, Attorney General William Barr said he asked Mueller during a meeting in early March about the matter. Mueller replied that he didn't recommend charges against Trump solely because a sitting president can't be indicted, Barr said. Associated Press writers Zeke Miller, Mary Clare Jalonick and Michael Balsamo contributed to this report. 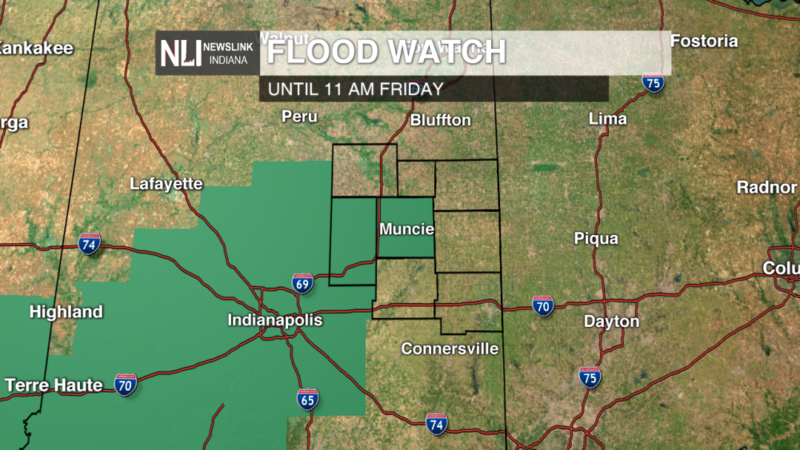 Tonight: Flood threats continue for Madison and Delaware counties as a Flood Watch is in effect until 11 AM Friday. 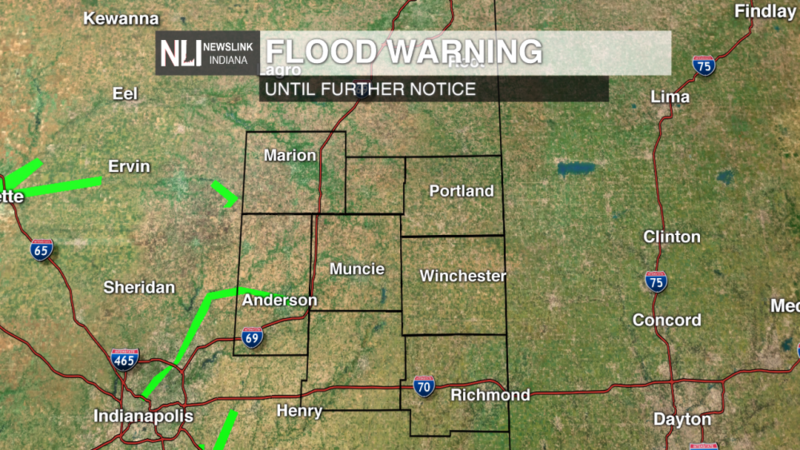 A Flood Warning is in effect until further notice for the White River in Madison county. Rain showers continue overnight as temperatures cool. A strong cold front ushering in this disturbance will disrupt the comfortable temperatures from earlier this week. 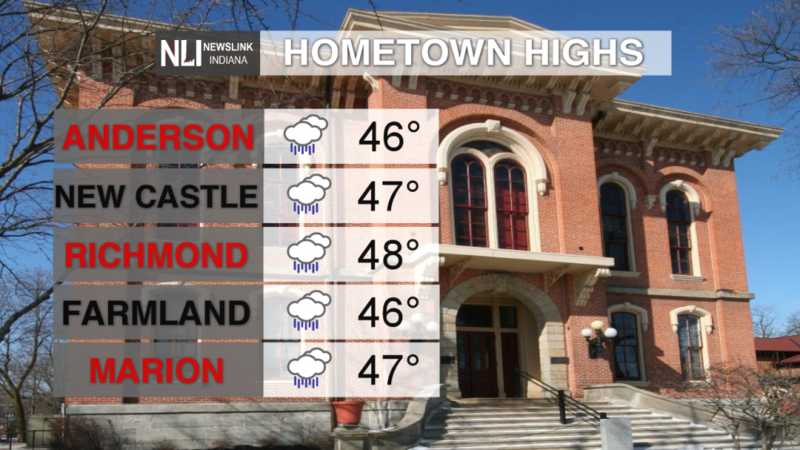 Friday: A cool and rain morning to start your Friday. 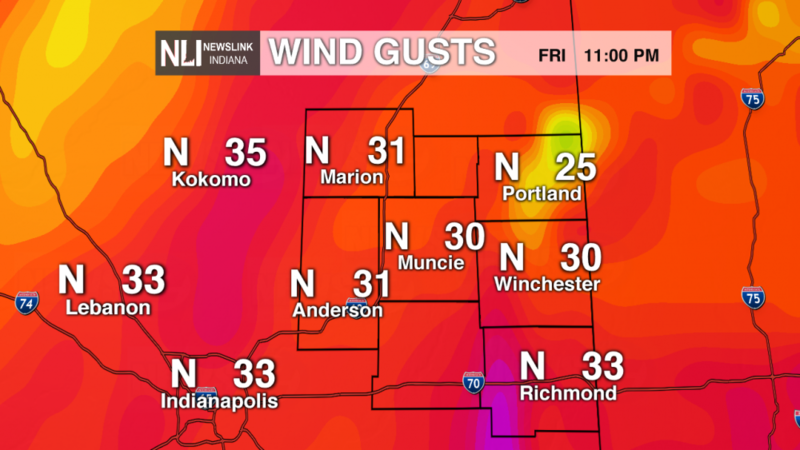 Wind gusts will pick up throughout the day making temperatures in the upper 40s feel more like the mid 40s. 7-day Forecast: Temperatures rebound for your Easter Sunday, with a slight warming trend in the extended forecast. With this decade coming to a close, Muncie officials head into the next one with plans in place to help make the central city area more livable and attractive for businesses. Next Muncie is a "vision" aiming to "build lively places, foster healthy living and create new opportunities for learning and working," according to the group's website. Heading the vision is a group of 10 leaders from the city, including President Geoffrey Mearns and Jud Fisher, president and CEO of the Ball Brothers Foundation. "The fundamental purpose of the Next Muncie group is to bring together individuals that have the capacity to influence the direction of the community," Mearns said. "Next Muncie is not going to generate plans but rather try to identify areas of activity that are already underway by various groups in the community and helping to support them in whatever way we can." He said the team intends to be connectors, advocates and guides for the community and use members' voices to provide access to additional resources like private, public and philanthropic investment to make the central city area of Muncie "increasingly vibrant and more attractive" to people. "Next Muncie transcends politics. It's not just an economic development organization," Fisher said. "What we're trying to do is bring the knowledge we have into the Next Muncie group." He said the foundation, having years of experience handling grants and working with nonprofits in the community, can help improve communication between the Next Muncie leadership team and nonprofits in the community. "Communicating a lot of the projects that Next Muncie is trying to help leverage is super important to get to drill down and understand the reality of some of the different projects that are going on in the community," Fisher said. While the Ball Brothers Foundation works more closely with nonprofit-related projects in the community, Mearns spoke about the infrastructure-related projects that Next Muncie's leadership focuses on. One example, Mearns said, was the three proposals to improve hiking, biking and riding trails in Muncie as part of the $90 million Next Level Trails initiative - the largest infusion of state trail funding in Indiana's history to develop "regionally and locally significant trails" in Indiana, according to the Indiana Department of Natural Resources' website. The three trails include the Central City Trail, Riverside-Jackson Trail and Prairie Creek Trail Phase 3. "The whole idea is to try to raise [and] receive from the state $2-3 million to connect some of the assets that we already have that will be of benefit," Mearns said, regarding the trails proposal. While Muncie already has "a good trail network" that includes the Cardinal Greenway and the White River Greenway, Mearns said there are sections of those trails that aren't necessarily connected. These projects are what he said helps connect the big networks in the community to the much broader region. Speaking about improving the living spaces in the central city, Mearns said creating rich arts, culture, entertainment and recreation opportunities is what other regions are doing to improve the quality of life. He gave examples of Bloomington, Indiana; Ann Arbor, Michigan; and Charlottesville, Virginia; as examples of "attractive" and "vibrant" places to go to school because of the restaurants, arts, culture and recreational opportunities available for students to enjoy. Mearns also said having both good schools and more pedestrian, bike-friendly neighborhoods are complementary to each other. "If you've got great public schools, but you don't have strong neighborhoods, people are going to move; they're not going to stay," Mearns said. "Conversely, you can have great neighborhoods, but if you don't have strong public schools … you're going to see that those communities don't thrive." Next Muncie's projects are focused on making central Muncie more attractive to young families by strengthening Muncie Community Schools, he said. "Our desire, and our willingness to participate in this new partnership was a recognition that strong public schools are integral to a vibrant community," Mearns said. "Partnering with the Muncie Community Schools is consistent with our institutional interest in fostering a more vibrant Muncie." Apart from other Muncie amenities, Fisher said K-12 and post-secondary schools in the community "are a real solidifying factor" in helping people decide whether to stay in or move out of the city. Businesses wanting to move to an urban environment will help bring more white-collar jobs to downtown, give rise to secondary businesses and bring with them more residential opportunities, he said. In a 2017 market research survey, Mearns said the No. 1 reason why prospective students said they wouldn't come to Ball State was because of Muncie. "We believe that if we can continue to contribute to the vitality of Muncie, we'll change that perception among prospective students," Mearns said. "We believe it will contribute to new enrollment, and we believe it will also contribute to positive retention." These investments in the Muncie community "are not short-term fixes," Mearns said. The plan to transform MCS "will take us another year and a half to develop, and then I think many, many years to implement, before we start to see significant sustained improvement." Mearns said he hopes by the end of the next decade, Next Muncie actually starts seeing the real tangible signs of more activity downtown, residential opportunities and people visiting the city. "We need to remain positive. We've been around for a long time and we've helped out the community in good times and bad," Fisher said. "I think we just need to be responsible [and] responsive to the needs of the community." Julia Steele contributed to this story. MUNCIE, Ind.-For the past several years, streets outside of Ball State University's campus were patrolled by the Muncie Police Department. David Sheveily, a Muncie reserve officer and deputy clerk, says that the department only has two patrol officers that patrol the street. Specifically, the officers patrol the streets from 8 a.m. to 4 p.m., Monday through Friday. students were getting away with parking on streets that didn't allow street parking. On the weekends, the two officers didn't patrol at all, so people got away with parking violations then. Due to complaints and increased parking violations, a change needed to be done. The Muncie Police Department has recently asked for help from the Ball State Police Department to patrol zones just outside the university. Ball State police hold 24-hour responsibility of patrolling these streets. The increased number of patrolling officers has led to increased amount of parking violation tickets. A parking violation fee starts out between $18-23, and if the ticket isn't paid, the ticket increases ten dollars every 30 days. Common mistakes from students parking off campus include parking on a non-parking street, parking too far away from a curb and parking in their grass. the city of Muncie. Other parking violations are stated in the city ordinance as well. Although tickets are on the rise, Sheveily wants more education for students parked off campus. "I want them to learn and apply what they've learned so we can fix the amount of parking violations," Sheveily said. Tonight: For tonight cooler temperatures will most likely be accompanied by rainfall and a possible thunderstorm. Overnight we could potentially gain more than an inch of rain. As of right now the National Weather Service has issued a flood watch effective through tomorrow morning. 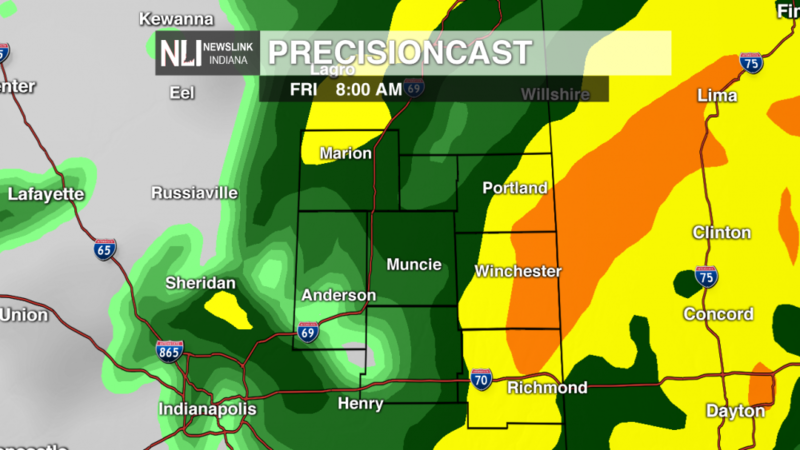 Friday: With expected rainfall through the morning tomorrow already looks to be a bit of a wet day. Morning showers will likely continue until 11 A.M. in order to ensure that we have plenty of precipitation building up. Road conditions could be questionable for most of tomorrow with the large amount of rain. Travel could be slightly impeded so stay up to date with your weather as the rain arrives tonight! 7-Day: The rain won't necessarily go away this Saturday as we do have a 50% chance of precipitation. 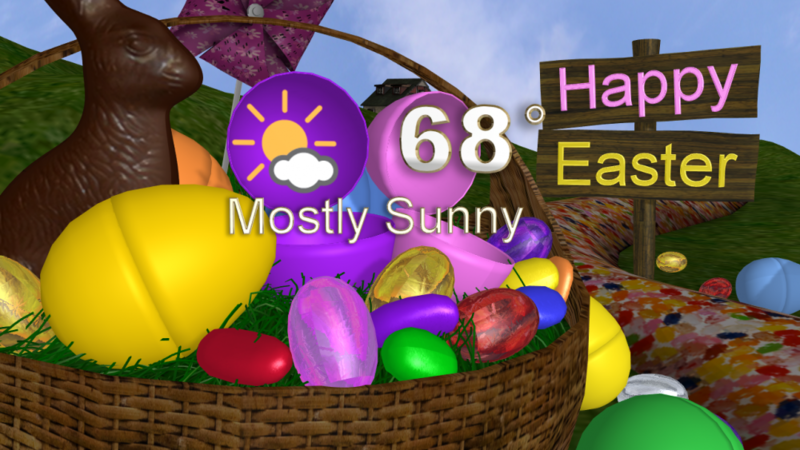 On the bright side, Easter Sunday is looking to be a warmer, brighter, and drier day. Be sure to enjoy the sunshine as more cloudy conditions and possible showers might be returning for the first half of next week. The Notre Dame Cathedral caught fire April 16 in Paris. The cause is not yet known, but it is possible it had something to do with the renovations, according to the Associated Press. Frederick Suppe, associate professor of history, said if Americans were to experience a similar event, they would feel the same as the French do now. "If you look for an American equivalent building that everybody in the country is familiar with it would be the White House or maybe George Washington's estate at Mount Vernon that so many people have visited," Suppe said. Construction began on Notre Dame (or "Our Lady") began construction in 1163, with the first stone laid in the presence of Pope Alexander III, according to the monument's website. Suppe said it is dedicated to the Virgin Mary. Marie-Line Brunet, assistant professor of French, grew up in Sartrouville - a district in the suburbs of Paris - and frequented the city with her family to visit museums and the cathedral. The "significant size" of the atmosphere makes it impossible to not recognize when you walk by it, Brunet said. "There is a very serene atmosphere. It's just, it's astonishing to think that people were able to build that," she said. "It's always a question of 'How on earth is it possible to build something is monumental and that it has survived the ages, the times, the wars, the conflicts, that religious wars, the Second World War and other things?'" Brunet said she was first notified by her colleague about the fire. She then checked French newspapers to see what was happening and called her sister who lives in Paris to ask about the incident. "What's been very striking is the silence of people. 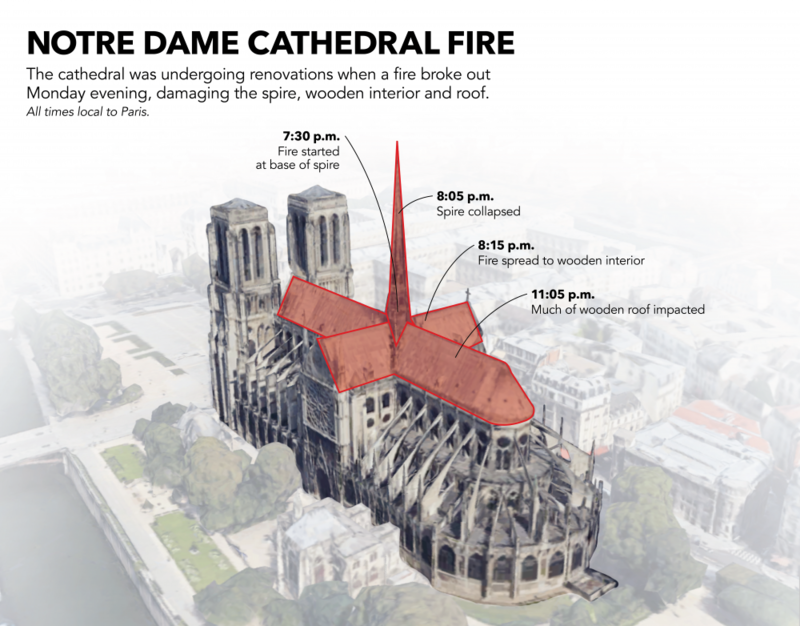 [My sister] was saying that people were watching it from different parts [of the city] because you could see the smoke from really far away," Brunet said. "But what she was saying is that people were just staring at it in silence and just seeing it happening in front of their eyes." The cathedral was like a "district office" for Catholicism, able to hold a couple thousand people for a day of worship, Suppe said. Inside the cathedral, carvings on the walls and stained glass windows depicted significant moments from the Bible. These illustrations were a "giant lesson in Christianity" for people who learned visually back in the Middle Ages, he said. According to Associated Press reports, hundreds of millions of euros have been pledged toward funding its reconstruction. "One problem [is that] some of the walls still standing may not really be solid," Suppe said. "They may need to knock those down and see if the old medieval cut stone is still salvageable, or whether they need to cut some new stone." Ten days after Sarah Black's sister started her newest internship at the Conservator Center in North Carolina to pursue her dreams. "It's Alex. She's dead. She's gone." Running down the stairs of her parent's home, Black stared into the teary eyes of her parents, hoping they would tell her it was all a joke. But they didn't. She lost her older sister, Alex Black, in a lion attack Dec. 30, 2018. "We were told she did everything she should've done," Sarah Black said. "But the lion just never refocused on the food. It was just focused on her. "If it hadn't come to her, it could've gone out into the rest of the park, and there were school groups. There were children. There were families. She probably knew that she was the last line of defense." After hearing the devastating news from her family, the junior elementary education major reached out to her second family at Ball State for comfort. "The first thing I did was text my friends in Singers." Black said. "I said, 'I don't know who to talk to right now, but I feel like I need to tell someone.' And they were all there for me." As a token to Alex and the rest of the Black family, senior communications major Maria Mark reached out and asked if the University Singers could perform at the funeral. Together, the Singers sang the acapella song "You'll Never Walk Alone." While the support from her friends meant a lot to Black, she said the performance was especially special because her sister had never been able to see her perform with the University Singers due to the time she spent pursuing internships. "She had never been able to see us perform, so that was our gift to her," Mark said. Black also sang and recorded the song "Never Love Again," from the movie "A Star Is Born," which was played at the closing of the funeral. "While that song is about losing a lover, it's also about losing a part of you, and Alex was a big part of me," Black said. "She was my big sister." After taking an extra week off school and visiting the Conservator Center in North Carolina, Black learning more information about the death of her sister. "I didn't want to wait then rip the band-aid off later, so I pushed to make that happen. I pushed to go and visit [the employees at the Conservator Center,]" Black said. "Then, I got all my answers." After, Black was able to reflect on the different stages of her sister's death. She made it a priority to reevaluate her self-motivation and confidence before stepping onto the next stage in her life. "I spent my entire life trying not to be [Alex] and figure out who I was, but so much of that was based on who she was," Black said. "So, from here, it's been like, 'Well, now what?'" After working with the counseling center, Black said she has learned to look at herself in a new light and embrace herself while appreciating how her sister shaped her. Black now takes part in conversations that heavily discuss zoo regulation and safety, which she never saw herself doing, because of the passion she has for her sister. "[Alex] was making a movement and being an activist because that was something she loved. She loved making waves," Black said. When Black returned to Ball State for the spring semester, she went through her entire wardrobe, cleaned her house, bleached her hair and planned to get a tattoo of her sister's name in her handwriting with a wolf's paw print. She said even the small things made a huge difference in helping her feel again. Through her grieving, Black said her friends from the Singers were immediately there for her. Mark, who met Black during community theatre in Indianapolis, said she "didn't want [Black] to be alone" once she got back to Muncie. "I just remember that she was very upbeat and positive, which was not at all what I expected," Mark said. "But, that's just the kind of person she is." Another friend, junior accounting major Justin McMiller, was also there for Black because the two had become close during their trip to London. "Not many people can say that their sister was attacked by a lion, so it definitely caught me off guard," McMiller said. "So, I gave her space, and a few days later, I sent her some uplifting photos just to make sure she had a smile on her face, even if it was just for a minute." McMiller and a few other members of University Singers also invited her to their houses to try to keep her mind off her sister's death. "I never got the chance to meet Alex, but just from the stories that Sarah has told, you can just tell how much love Alex had for what she did and how much love Sarah had for her sister," McMiller said. 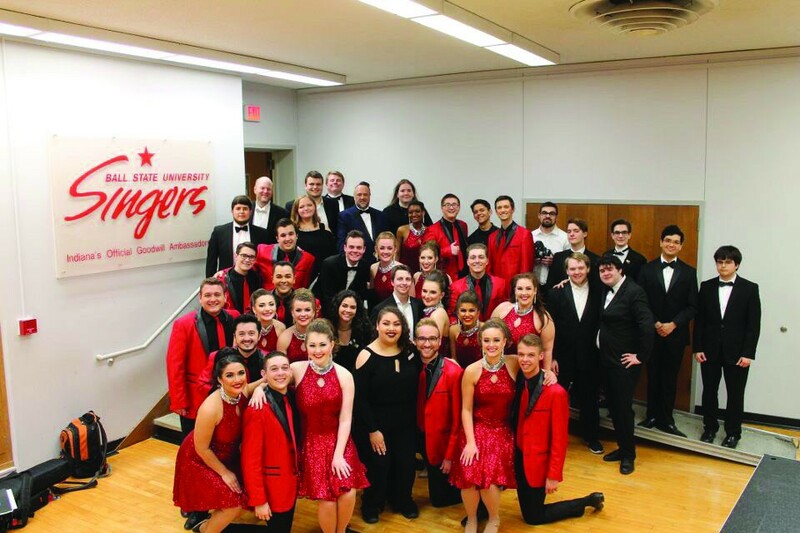 During the University Singers' audition for the 55th Annual Spectacular Show, Black decided to again sing "Never Love Again." Three months later, Black displayed her dedication to her sister in front of a family of alum and students. 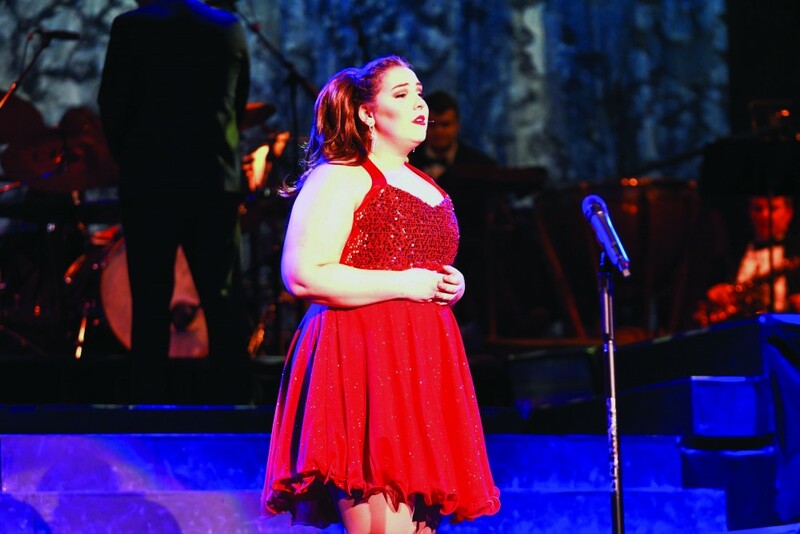 "I was trying to figure out from the start what do I do to make this a memory of her … So, I came back and auditioned the song, and it's been in almost every performance since then," Sarah Black said. Since this is her last year as a member of the Singers, Black said it was important to her to integrate the importance of her sister and her connection to the rest of the Singers into each of her performances. 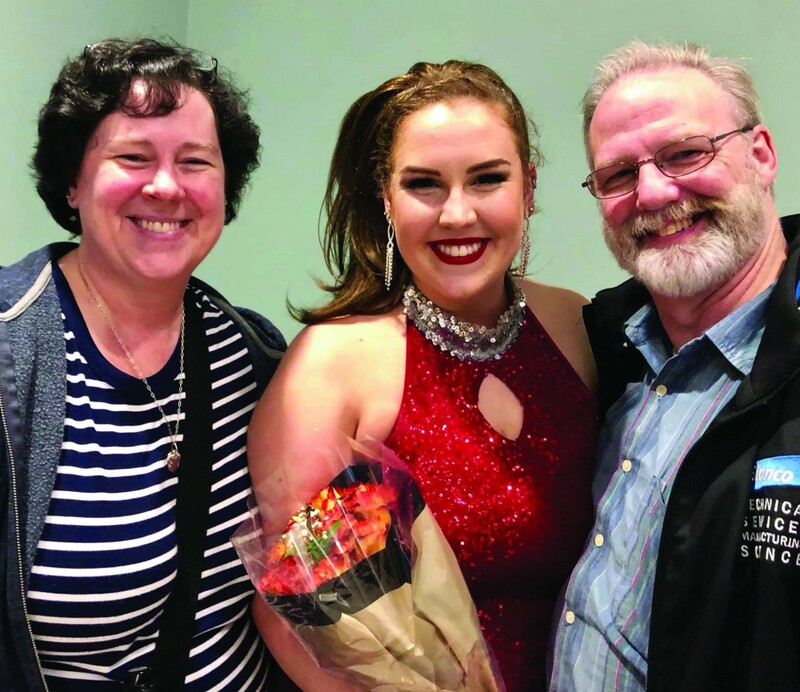 Although she is leaving a lot of things behind this year, Black said she is proud of the memories created within both her own family and University Singers. "[The Singers] have been there every moment, so if I am ever having a rough day, I can just show up at one of their houses," Black said. "It's been really amazing to have those people to lean on, in every way possible." A sense of community and generosity is rooted in the city's history - the most famous example being the very cause of Ball State's founding - and continues to move the community forward today. The Daily News has always felt it needed to be more present in the Muncie community. After the passing of House Bill 1315, which gave Ball State responsibility for Muncie Community Schools (MCS), we saw a perfect chance to do so. We also saw an opportunity to expand upon the news coverage of MCS. While official grades and measures are important, they only tell part of the story. Individuals from various backgrounds and parts of the community have been coming together for years to help find solutions to socioeconomic obstacles the district faces. These difficulties are not unique to MCS. Simply reporting the presence of problems presents a specific narrative and guides readers to form perhaps an incomplete opinion, rather than providing adequate context and allowing individuals to see more of the story. Through the launching of The Partnership Project, The Daily News is making a commitment to its readers, and the community as a whole, to take notice of what is happening everyday throughout MCS. We hope to provide a full picture of the commitment to progress within the district. While we know MCS faces obstacles, we want readers to see what is being done. In just a semester of reporting, we have been thrilled to meet first-hand the "doers" in the community - the people who set out every day to make Muncie a better place. The amount of dedication and sheer spirit of community is simply overwhelming. Thank you to those who have already extended their support and ideas for this project. This first edition is just the start to what will be a long-term project with periodic updates - both digitally and in print. We welcome your story ideas. We welcome your concerns or criticisms if you have them. But, most importantly, we hope these stories tell you something you didn't know about Muncie's public schools and give you a voice in your community's future. On behalf of the staff and former editor-in-chief Allie Kirkman, who got the ball rolling with this project, I thank you. Senior Regan Lewis, record-setting high jumper and a key member of Ball State's track and field team, was sidelined for nine weeks after suffering an ankle injury. The injury healed, but the pain of not competing hurt more. "It was big to go to a track meet to stay a part of the team even though I couldn't compete," Lewis said. "[Being injured] was stressful and very boring. I don't like not competing. Going to practice every single day and watching everyone else compete was different." The aspect of sitting out adds to the amount of stress a student-athlete feels. According to a study conducted by Daniel Eisenburg, director of Healthy Minds Network for Research on Adolescent and Young Adult Mental Health, 33 percent of college students experience significant mental health conditions, and the majority of that percentage reaches out for help. However, only 10 percent of student-athletes who have mental health conditions seek help. In some cases, athletes will use and abuse drugs and alcohol. In 2017, the NCAA administered a survey to 23,000 student-athletes across the country with 60 percent of all NCAA schools participating. Through the survey, the organization found 77 percent of student-athletes reported drinking alcohol in the past year. In addition, 36 percent reported drinking alcohol on a weekly basis. Another area of substance use is tobacco and nicotine. From 2009-17, student-athletes' use of tobacco and nicotine declined by 4 percent. Additionally, 24 percent of student-athletes have reported inhaling marijuana in the past year. In order to preserve the mental stress of being a student-athlete, various resources have been put in place to help students thrive in and out of competition. One resource offered within the Ball State Athletics program is access to mental health consulting. Anna Farello, the mental skills consultant for the track and field team, works with the team to help manage the busy life required of these student-athletes. "Stress management is really big," Farello said. "Student-athletes have a lot on their plates, so we suggest relaxation techniques that can help athletes focus on the present moment or bring down stress levels." One resource Farello recommends to athletes is the use of a mental tool kit. Examples of these tools could be breathing techniques, meditation and time management. Tapping into these individual resources can help manage the workload between school and sports. In efforts to not let the stress get to them, some student-athletes channel the high pressure into their performance on their respective stage. "Everyone has their own way of performing their best," Farello said. "Some people use that stress from school to actually fuel them in competition." While there are many resources available to athletes within the department and outside of it, the rigorous schedule of eat, sleep, practice, play, repeat may be a limiting factor of seeking help. William Betts, director of counseling and health services at Ball State, said only 2.7 percent of students using the Counseling Center report being involved in varsity athletics. This is compared to the 21 percent of students who report being involved in general athletics like club and intramural sports. "Finding a time to meet with a counselor is often one of the biggest challenges for athletes," Betts said. "However, we make every effort to accommodate athletes' schedules." Despite the resources and schedules for student-athletes, in the end, it's the drive of the athlete to find help and stay focused mentally and physically in order to succeed. As Lewis continues to break school and conference records, the people around her have noticed her drive and passion to continue to do what she loves: to stay sharp and focused. "Regan is tougher than what everyone thinks," track and field head coach Brian Etelman said. "She was in a pretty tough situation having not competed for two and a half months. She could have elected not to compete this weekend. We had that conversation and left it entirely up to her."